It’s Sunday night and I am thinking about our weekend. I get a big pang of guilt, did I do enough? Did Nancy enjoy herself? Did I spend too much time hoovering? This is my weekly ritual. The reason it falls on a Sunday is because I work full time. I really love my job and I am ambitious, I want to be successful. But, I also want to be the best mother to my daughter. I honestly get some evenings where I just cry because I feel so so guilty. I feel sometimes like I am failing as a mother. That I don’t do enough for her. That I don’t play with her enough. Sometimes I am so exhausted I could honestly just fall asleep on the sofa when she wants to play dolls. I can’t even pretend like there aren’t Saturday mornings between 6 – 7am when CBeebies is my best friend. I just need the caffeine kick before I can swing myself into whatever game Nancy wants to play. The guilt also stems from comments I receive from people on the commute home. We get a bus to and from the city centre where Nancy’s nursery and my office are based. One of the main reasons I take the bus is because I can give her my undivided attention. We chat about our days and who Nancy has played with, we practice our numbers and alphabet, read stories and sometimes listen to music. There are times however I receive comments like ‘oh she must be tired, what a long day for her’ or ‘you work full time, I couldn’t do that I would miss them.’ If I had £1 for everytime someone made a comment about how long her day was, I wouldn’t have to work! There are other times I receive positive comments ‘it’s lovely to see how much you talk to your daughter.’ Still as we all know the negative comments are what we remember. When I receive comments like this they don’t see the bigger picture. I love my daughter. She is my whole wide world. Our weekend is spent in parks, role playing, gardening, swimming, at soft-play… and ofcourse at coffee shops. They don’t see how by going to the gym and practicing yoga my daughter has a love of exercise. She regularly pops the yoga mat out to practice her moves. They don’t see how I often up late cooking to ensure she has homecooked food every evening. How either myself or my partner read at least four stories to her every evening. They don’t see how much she loves going to nursery and how much she thrives there. 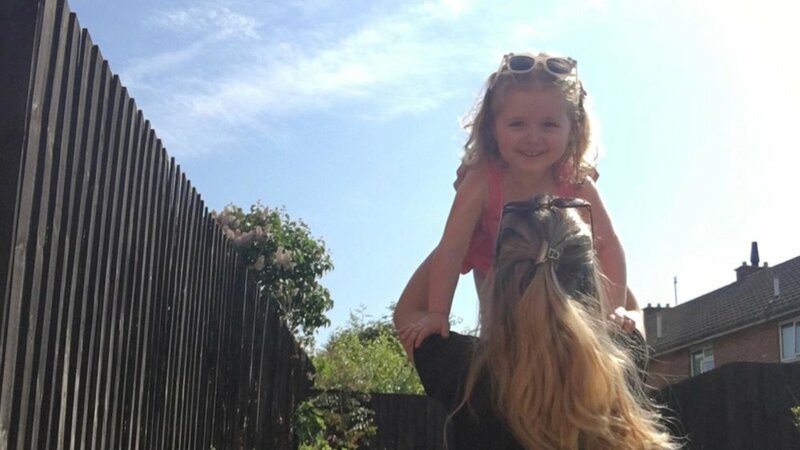 Nursery has helped her grow from a child who cried when someone said hello to her into a confident bubbly girl who loves chatting away to anyone she meets. She used to cry every time I dropped her at the nursery door now she runs to one of the nursery workers and gives her a cuddle. This is honestly a huge achievement. She also spends two days with her Nanna, a retired primary school teacher who spends hours with afternoon creating shark hats, Christmas trees, finger puppets … the list could go on. I am so lucky to have her help and Nancy really does have such a lovely time with her. As you can see from the picture where they made a caterpillar and planted watercress seeds. So for me I feel working full time is the best for us. I don’t think working full time is the best for everyone and I often think there is too much judgement when it comes to a mums choice. I think this judgement often stems from the judgement I receive for wanting a career and working full time. I can’t lie I would probably be more tired if I didn’t work and I have nothing but respect for mums who stay at home. Atleast when I get to the office I can have a cup of tea and a pee in piece, not together obviously! I think my point to all this is, no matter what Mum guilt you have, you are doing an amazing job. In your child’s eyes you are most likely the best thing ever. Even the littlest things like an evening story or a tickle can most likely be the best part of their day. I really think if you as a Mum are happy then your child will be happy. My second point is that we all need to judge less. I have set this as a mission for myself. The saying ‘don’t judge a book by its cover’ is something I really believe. Whether you are a full time mum, a working mum, a soccer mum, a cat mum or a super mum, we are all mums and we can all support each other! I don’t think any Mum is wrong in the choices she makes, whether she works, doesn’t work, wears makeup, doesn’t wear makeup, breastfeeds, bottle feeds … all of these things are meaningless as long as that individual mother feels like she is doing what is best for her own child.